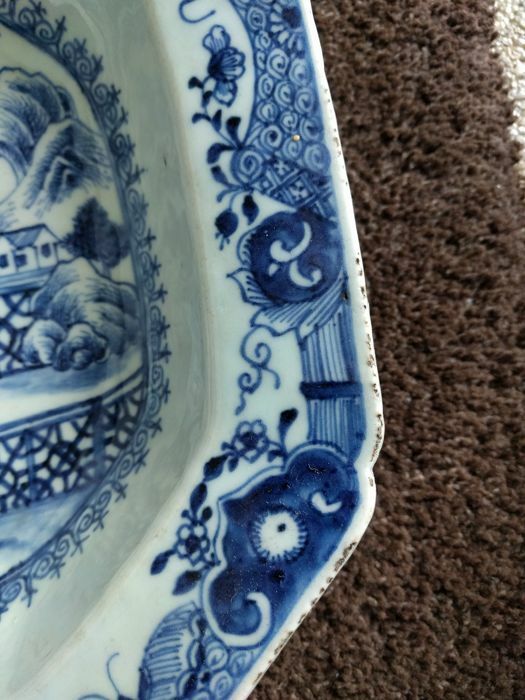 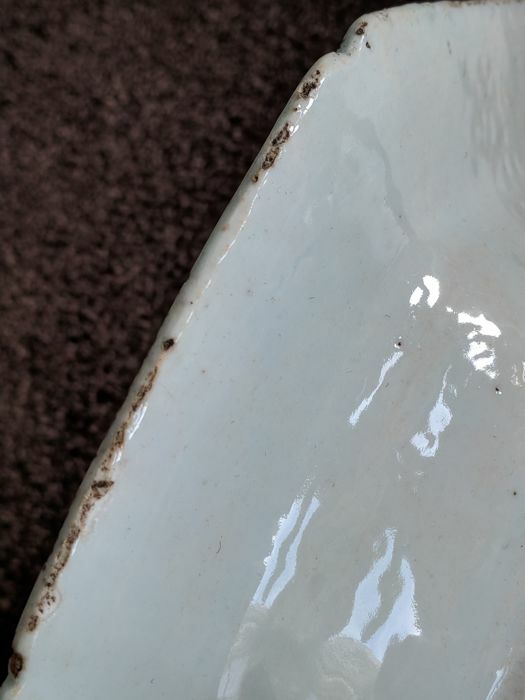 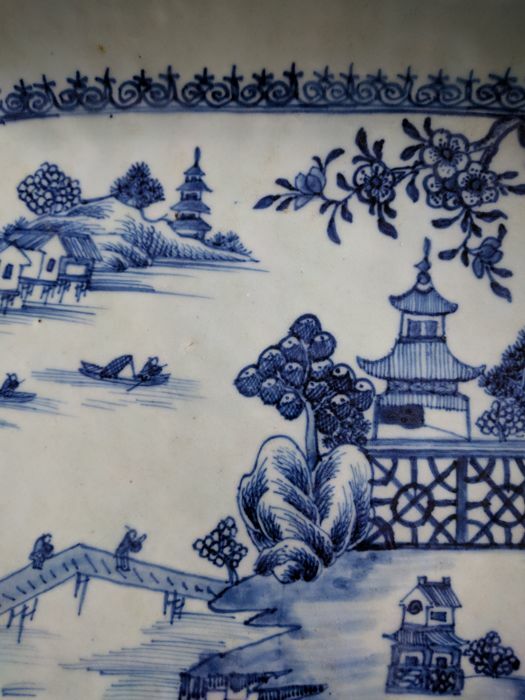 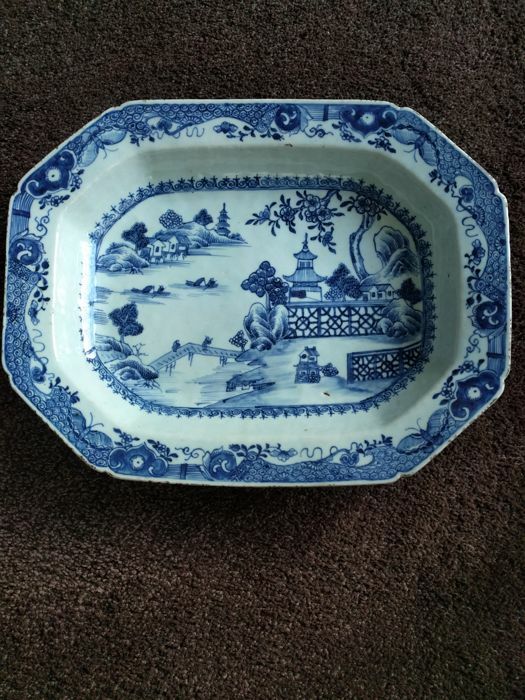 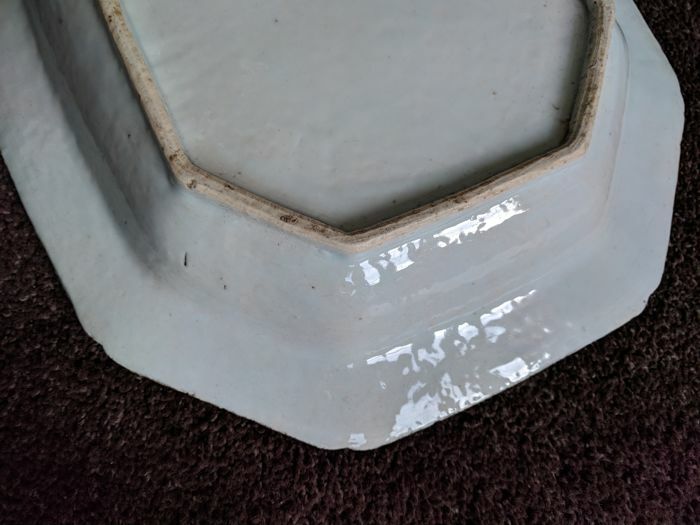 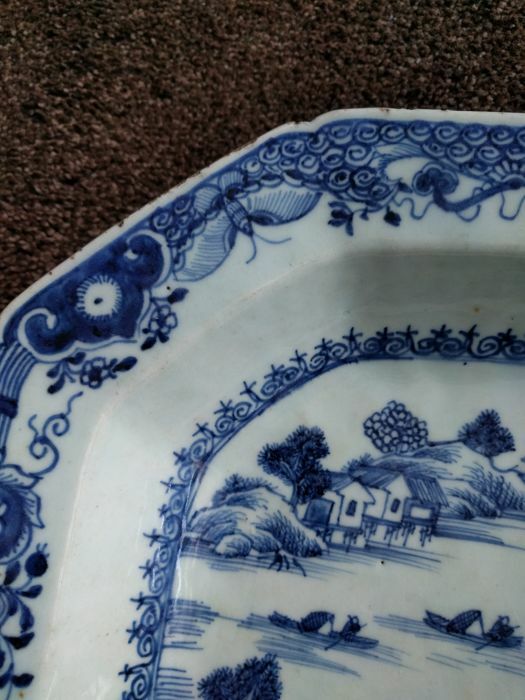 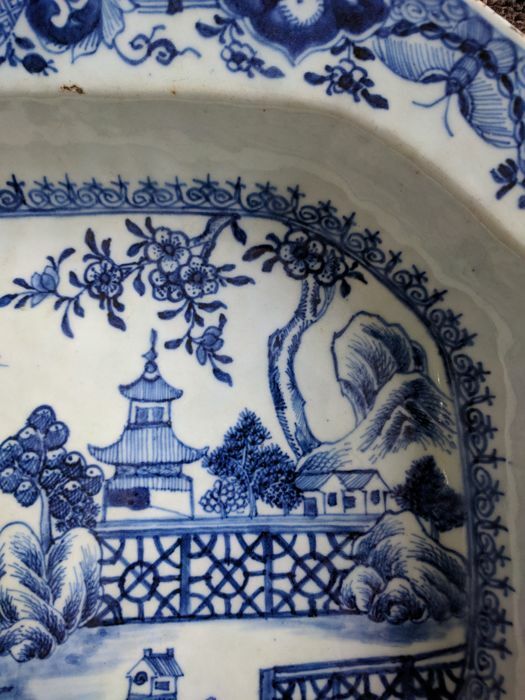 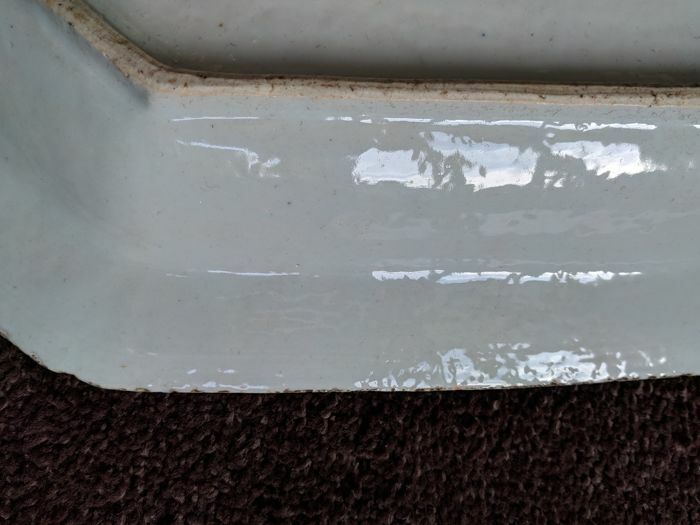 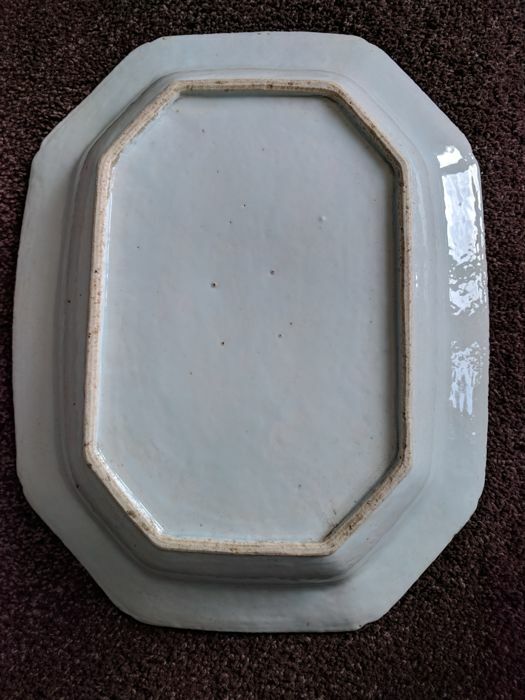 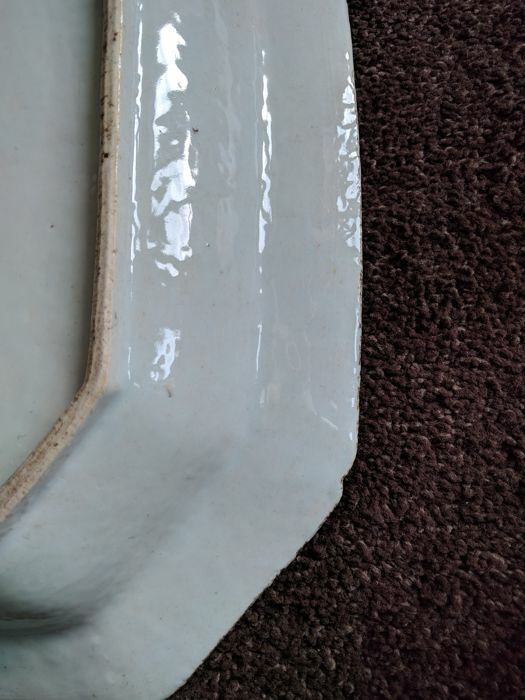 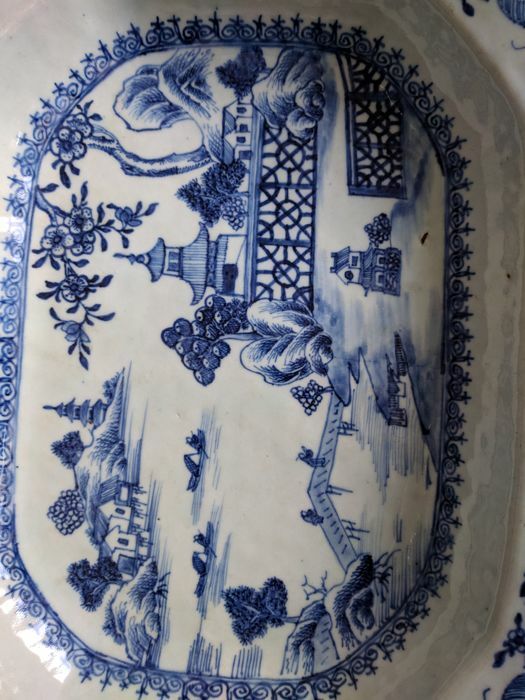 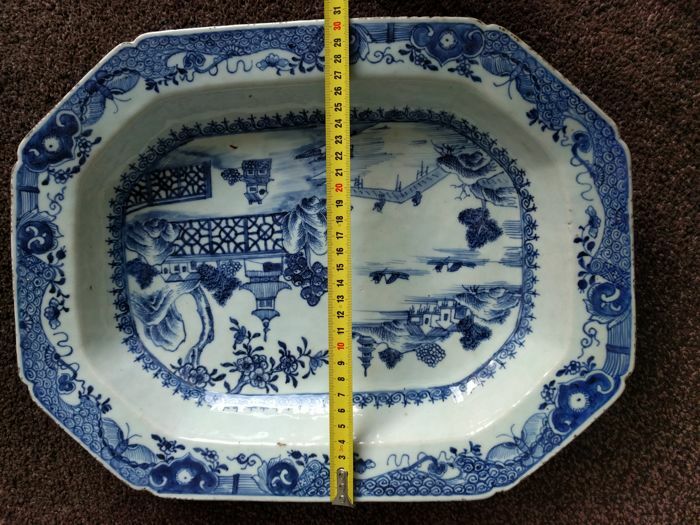 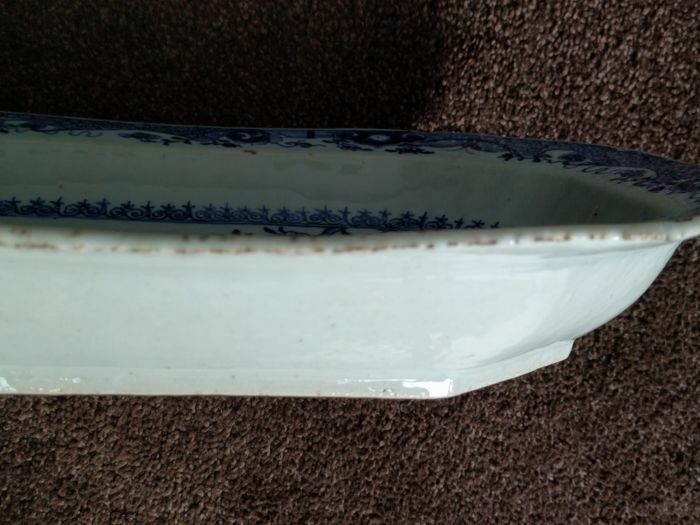 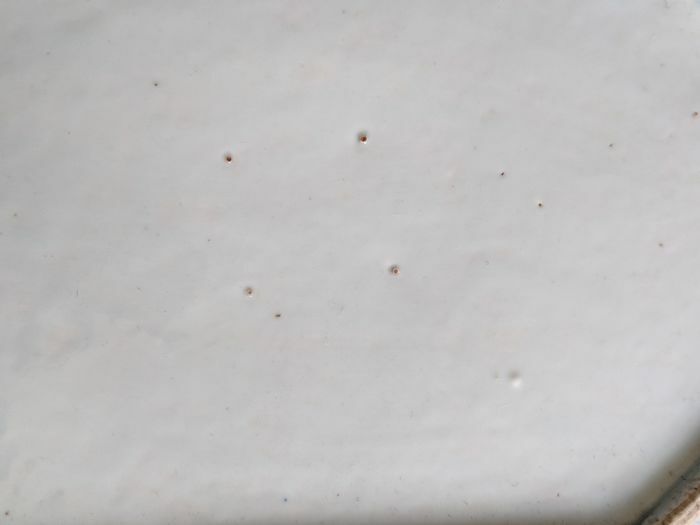 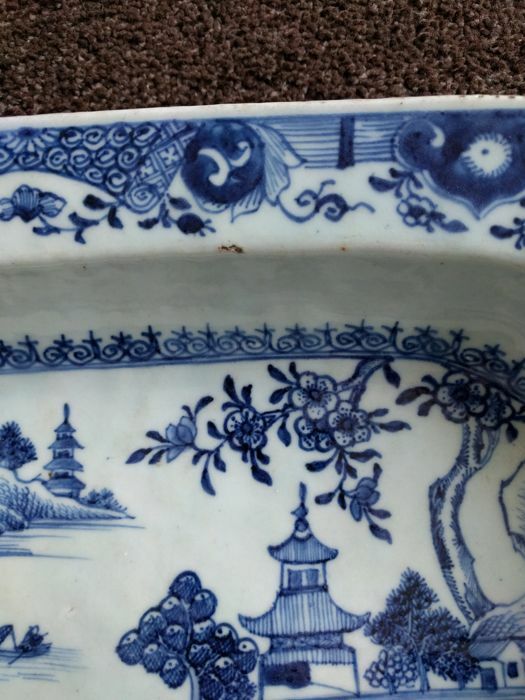 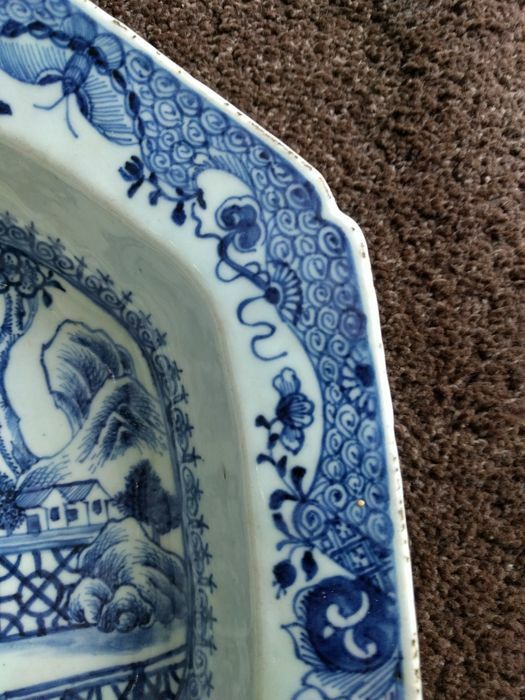 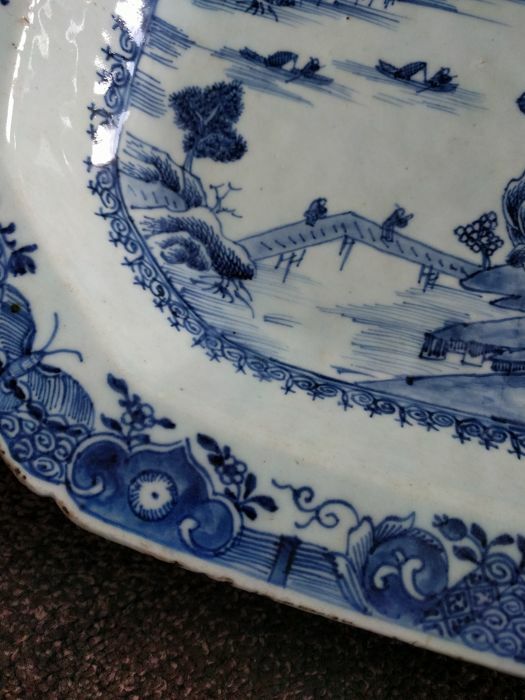 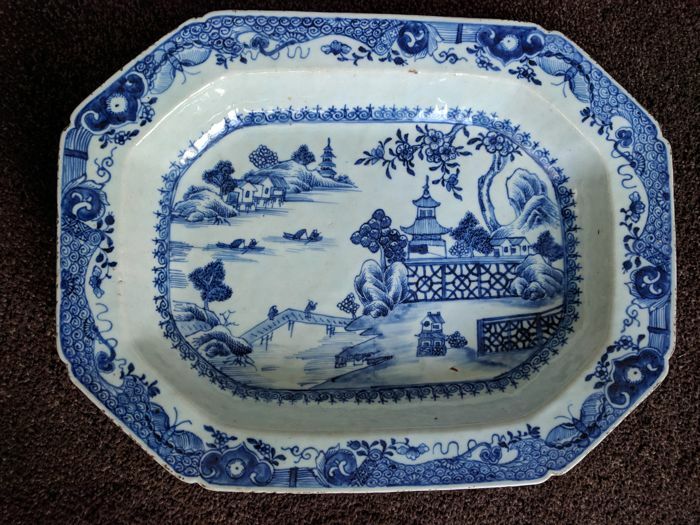 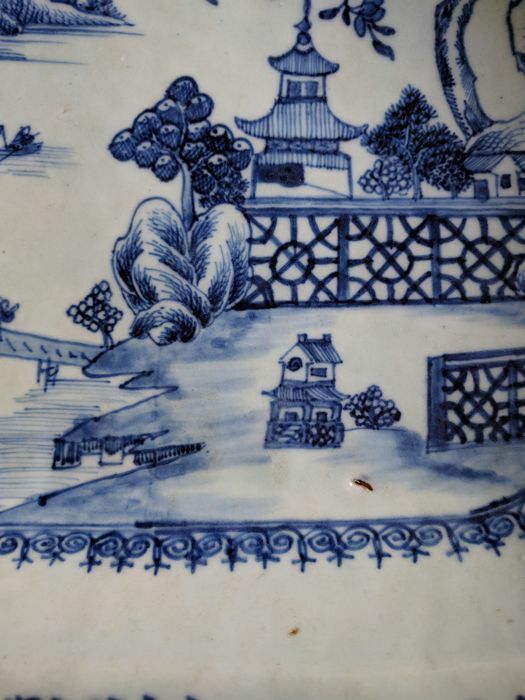 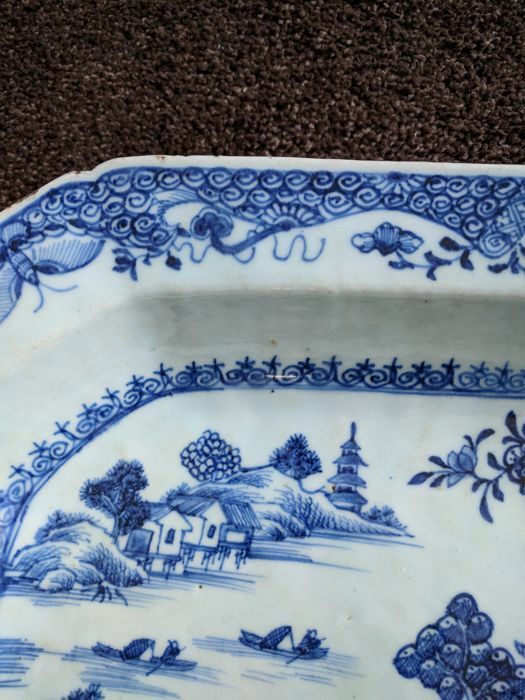 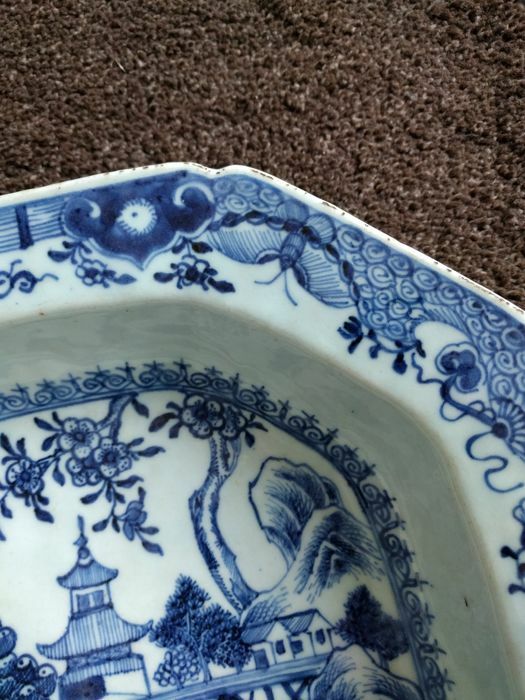 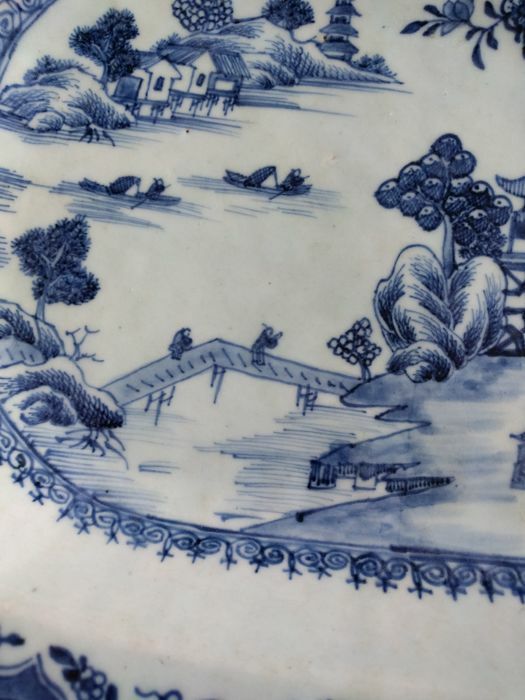 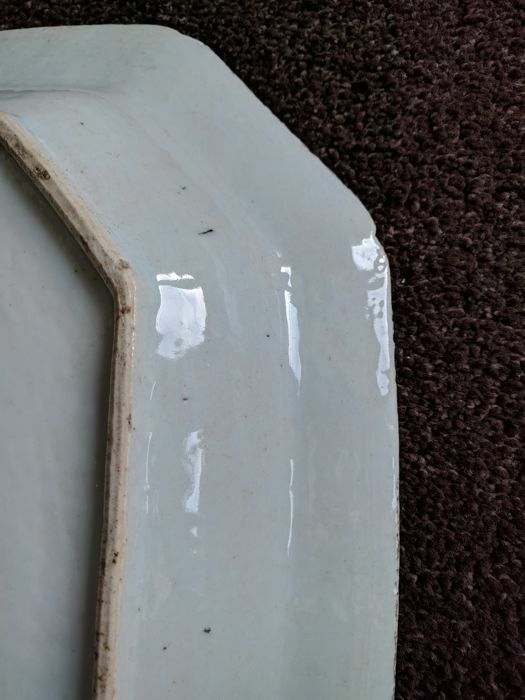 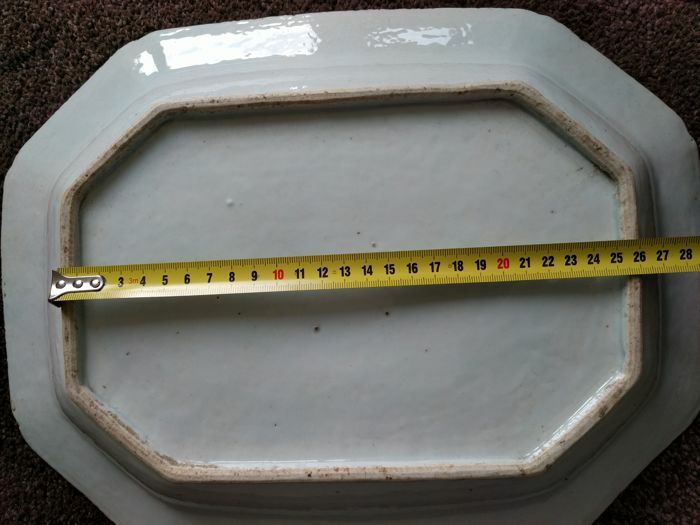 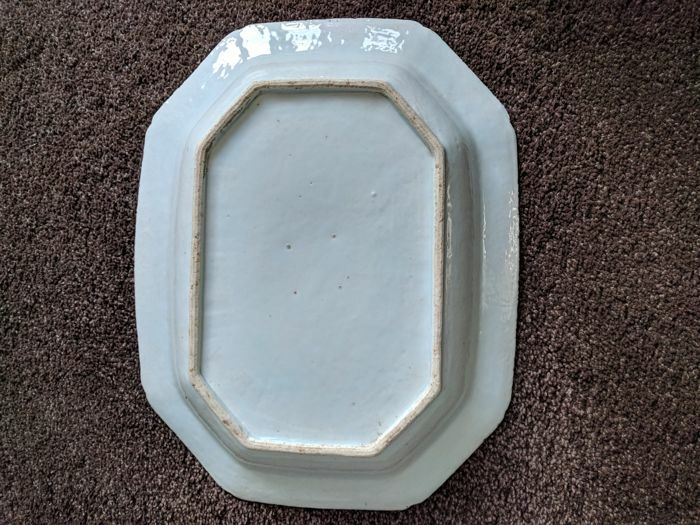 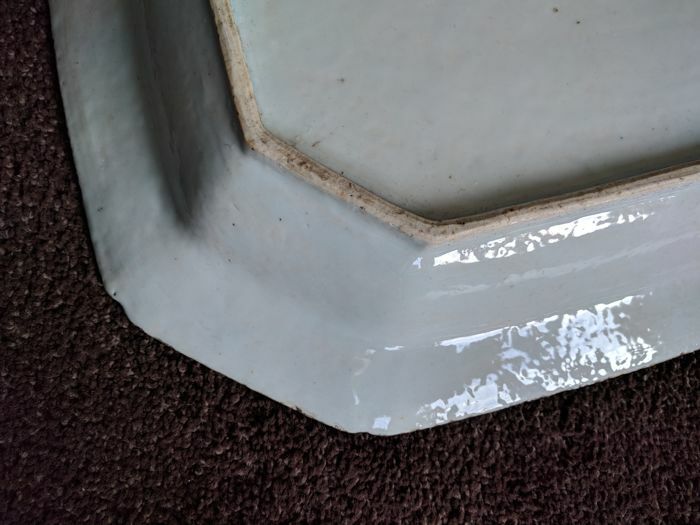 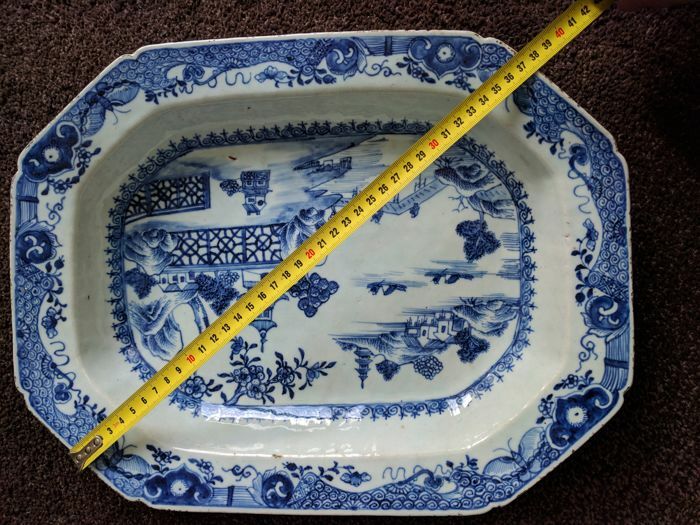 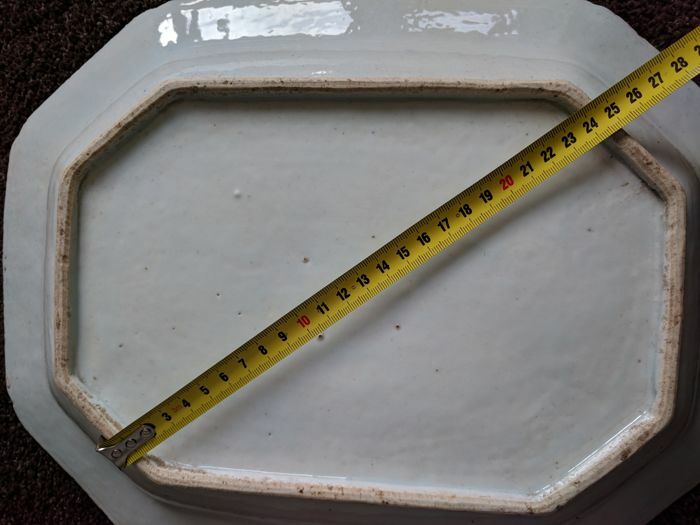 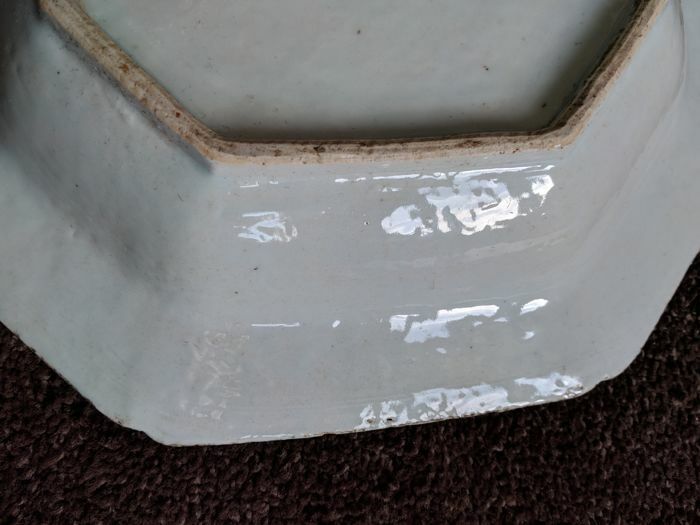 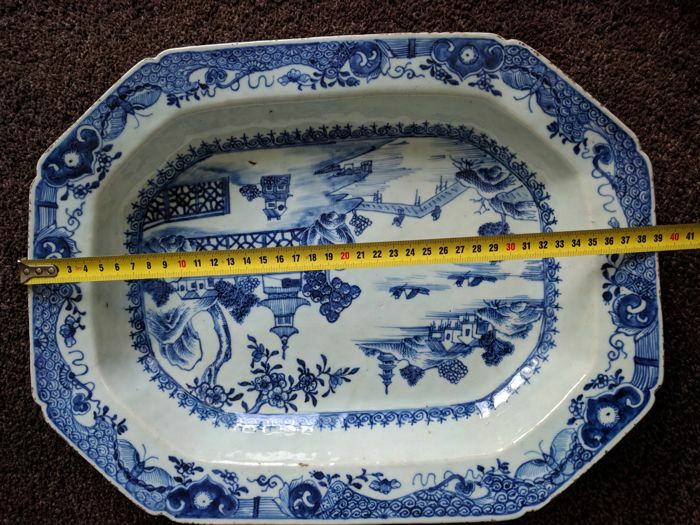 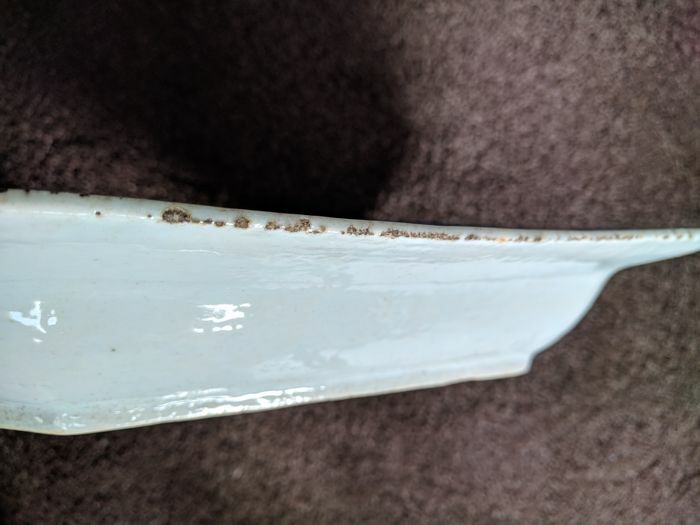 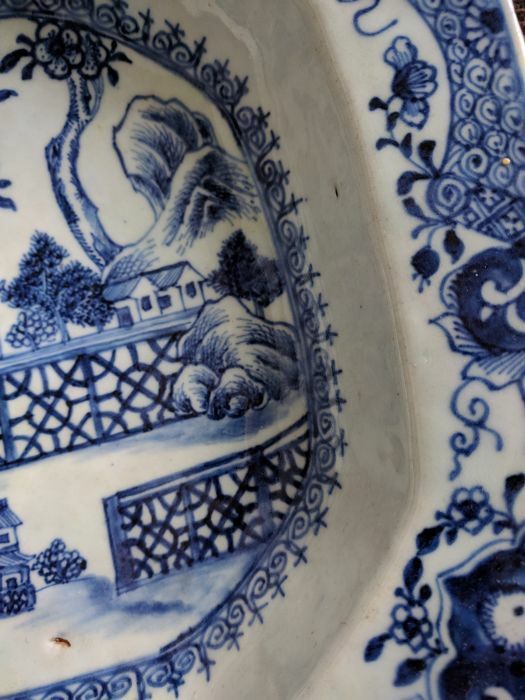 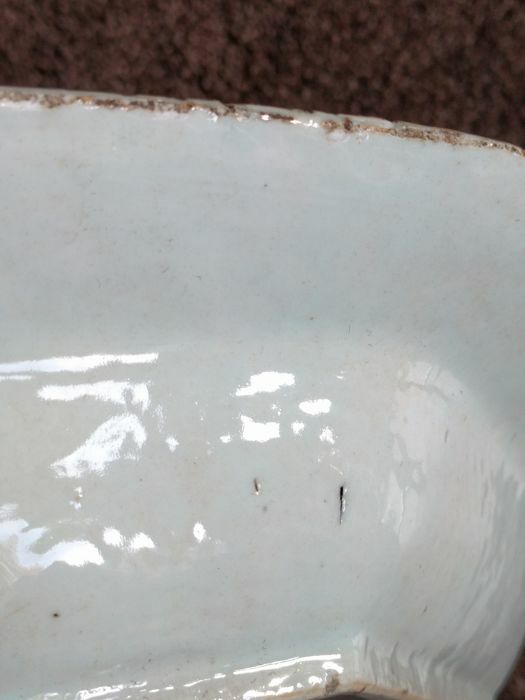 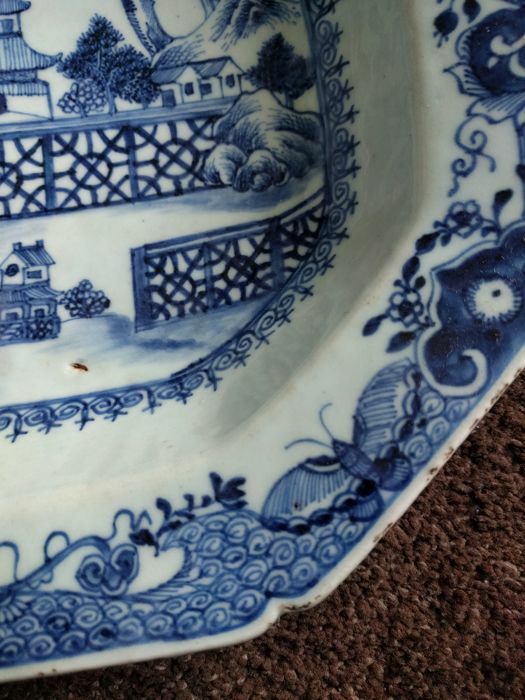 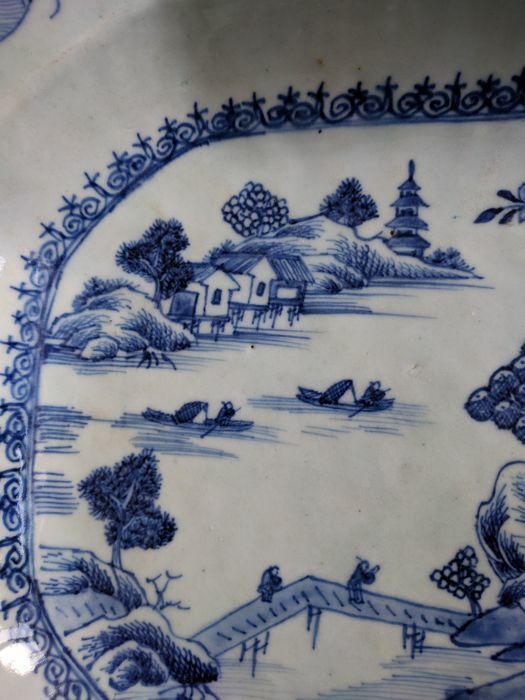 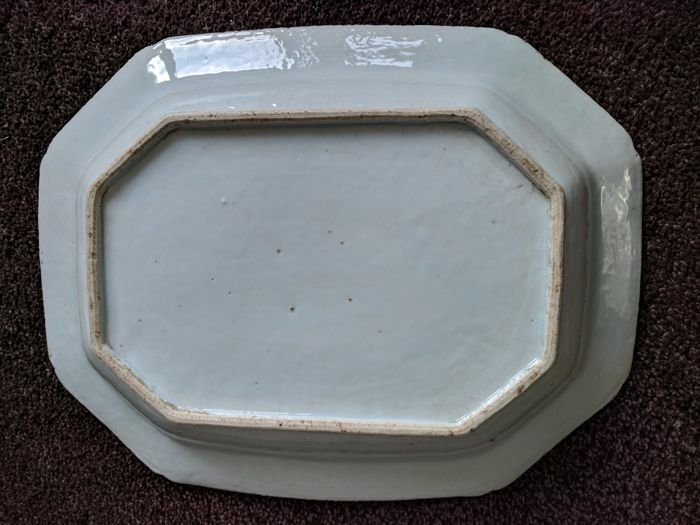 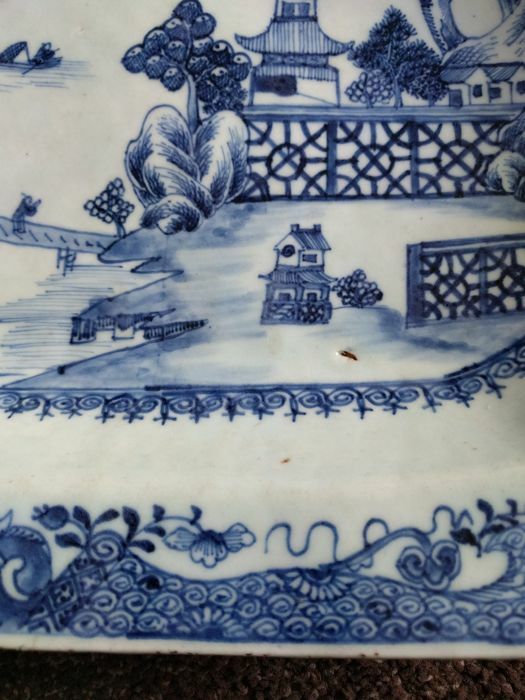 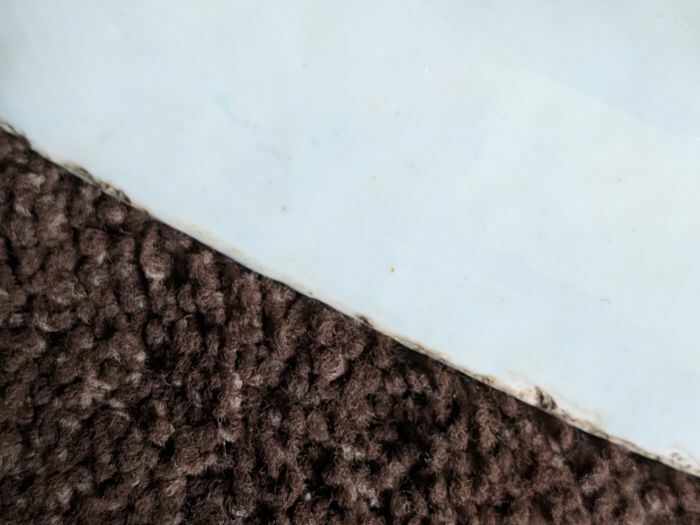 Large Chinese octagonal porcelain dish, painted with a blue-and-white landscape, 18th century, Qianlong period, in very good condition, minor baking flaws and edge wear, see photo. 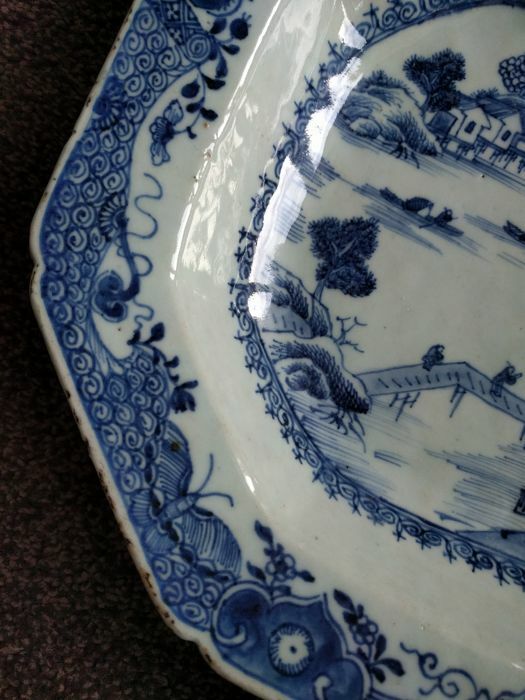 No chips, hairlines or restorations. 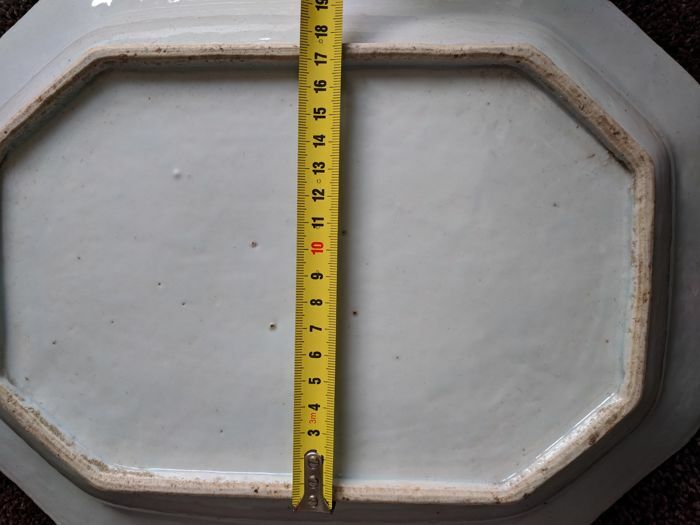 Dish is 39 cm x 37 cm x 30 cm and 6 cm high.